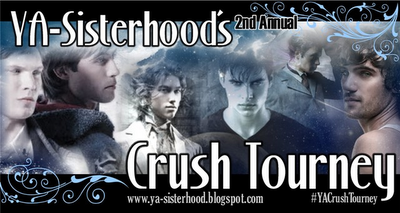 The YA-Sisterhood YA Crush Tourney is on Round three and it will be narrow down to the Elite Eight. Match 25 will be between Will Herondale from Cassandra Clare's The Mortal Instruments series versus Adam Kent from Tahereh Mafi's Shatter Me. Now, I'm about Team Adam and I know what you're thinking: This is Will from The Mortal Instruments and this is Cassandra Clare and she has a huge following. I haven't had the pleasure of reading TMI series yet but I do know how popular they are. But Adam has been going against some really great and swoon-worthy guys and I believe he has a chance to give Will a run for his money. So, let give Adam some love and vote for him. The contest runs from 12am to 12am today, August 3rd. Will against Adam :O I can't choose between those two. They are too amazing!